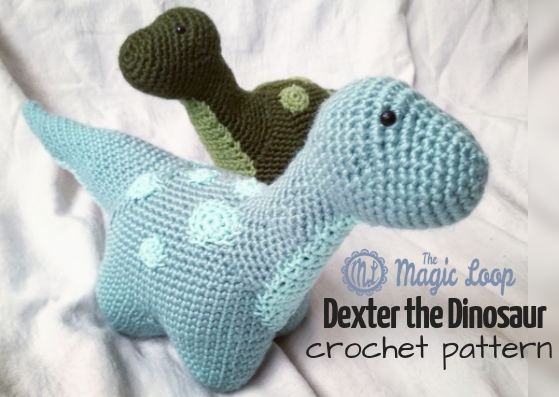 Hook this free crochet dinosaur amigurumi pattern on Ravelry here! 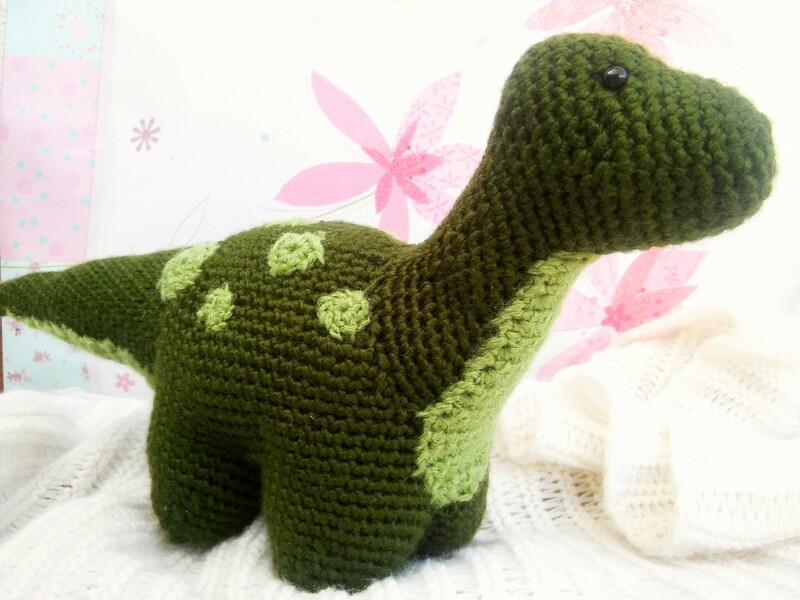 This is an updated version of my first amigurumi pattern Dexter the Dinosaur, everything looks the same but in this version the body is worked from the legs up. 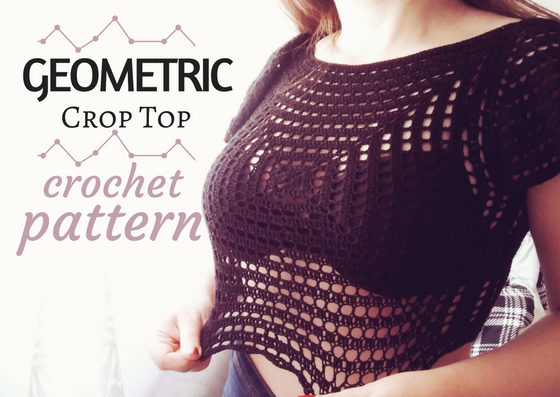 This is more beginner-friendly pattern, but if you like the original version better – you can find it here. 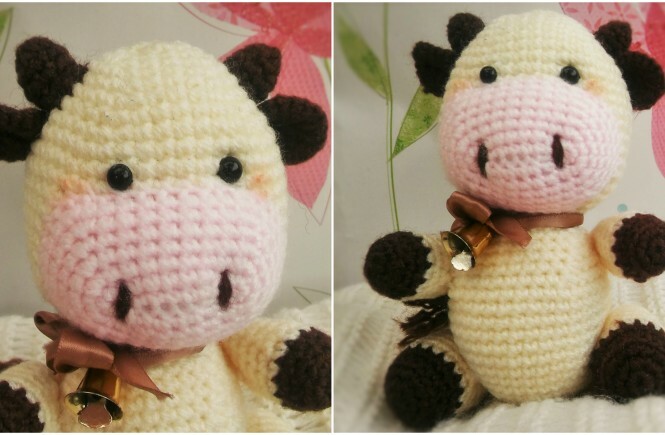 There is also a new picture-tutorial on how to sew all the parts together – here. sc32 around (32) – fasten off. Make four. 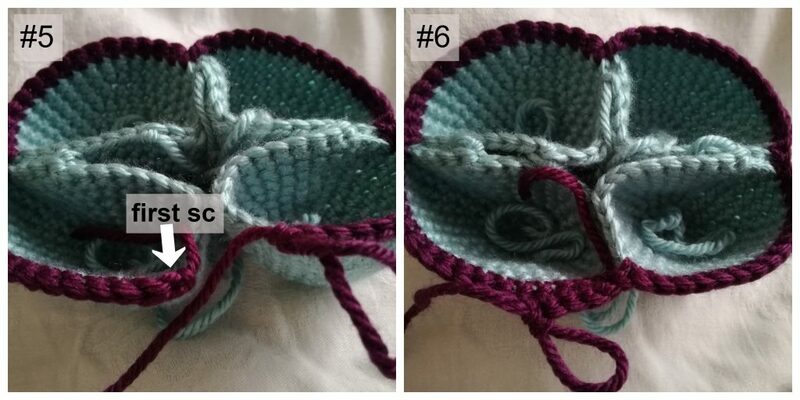 I used different color yarn just to show you the next step. IMPORTANT: Cut about 4 ft of yarn which will be used later for sewing the inside of the legs together. 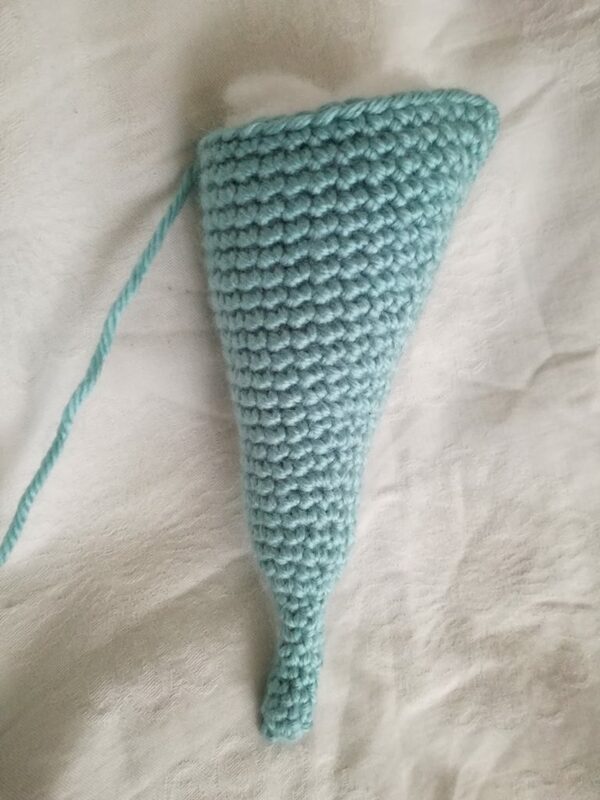 Now join the yarn to the first leg and do 16 single crochet stitches. 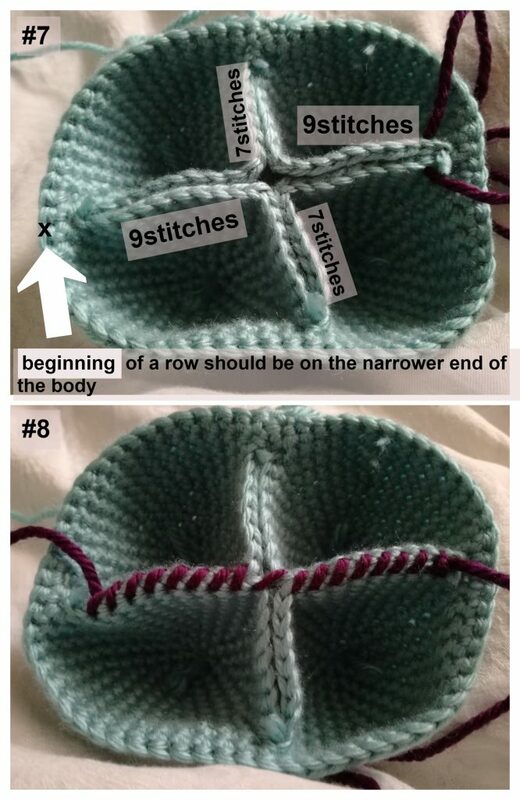 Hold the second leg next to the first one and just continue doing 16 sc stitches on that leg. Do the same with third and fourth leg. Now you have a line of legs, 16 stitches on each one, 64 stitches total. Connect the first and the last leg as shown on the pictures #5 and #6 below. Sew the legs together as shown on the photos #7 and #8 above. 20. sc7, sc2dec x 2, sc9, sc2dec x 2 (22) – stuf the body with a lot of stuffing and sew it shut. 33. sc33 around (33) – fasten off and leave a long tail for sewing. 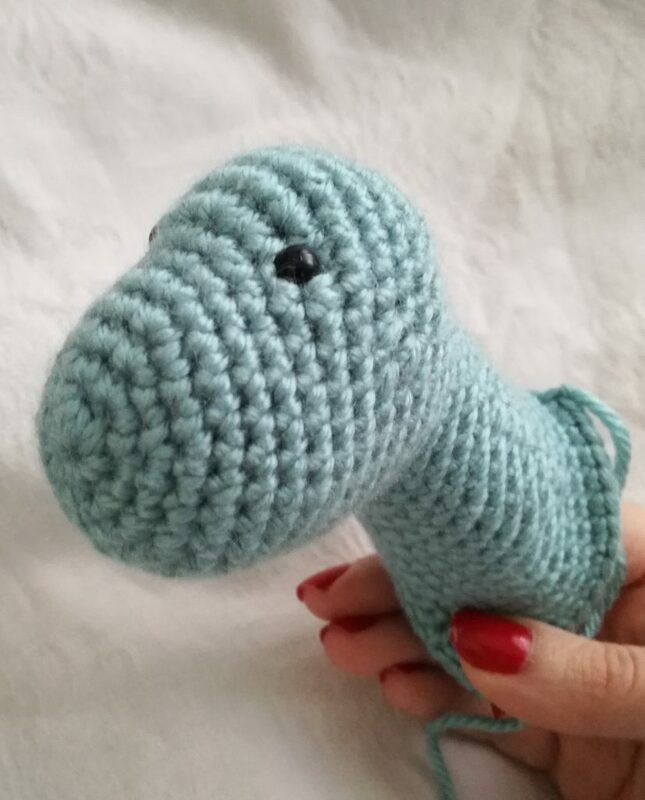 22. sc2tog x 2 (2) – fasten off and leave a long tail for sewing. 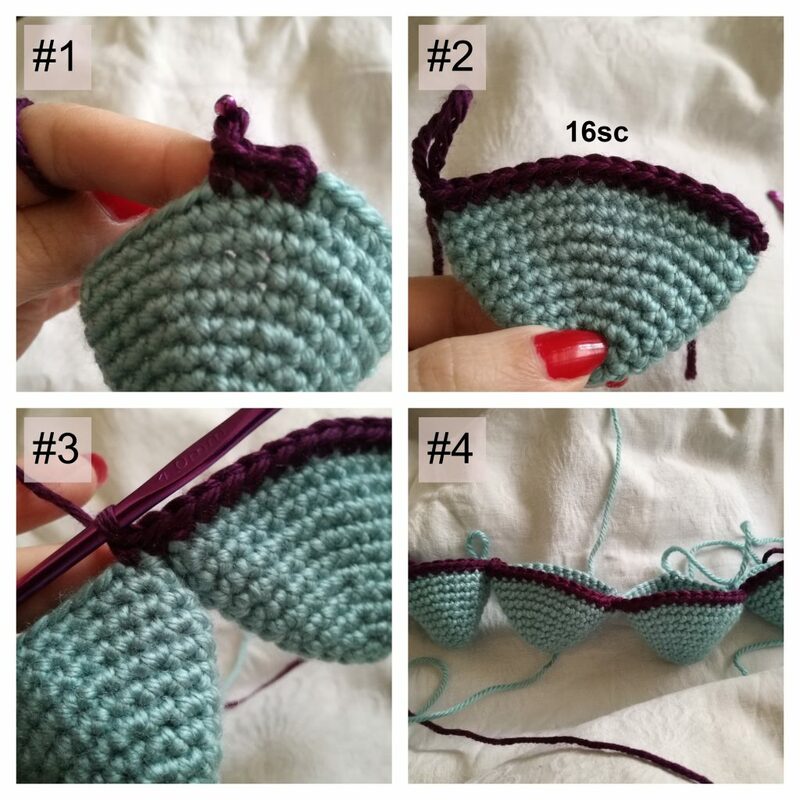 23. sc2tog x 2 (2) – fasten off and leave a long tail for sewing. 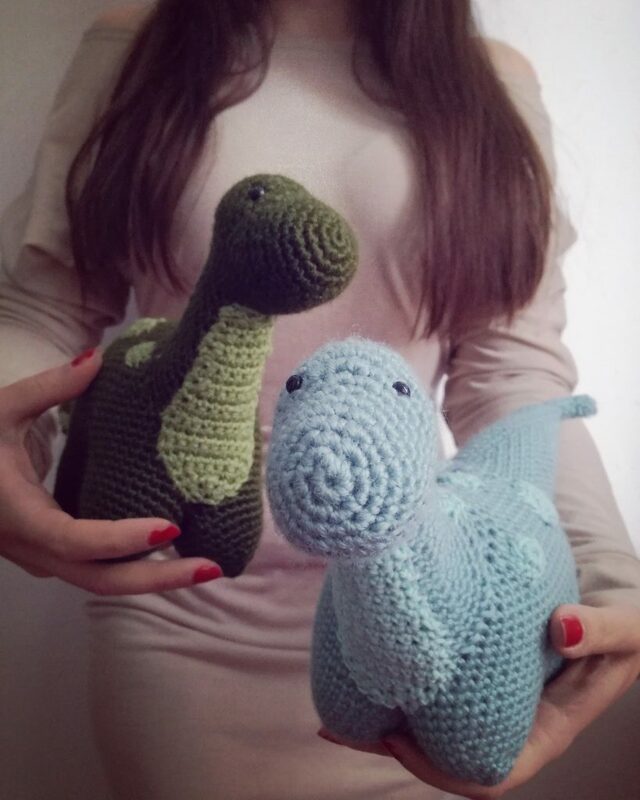 You can make as many as you like in different sizes. 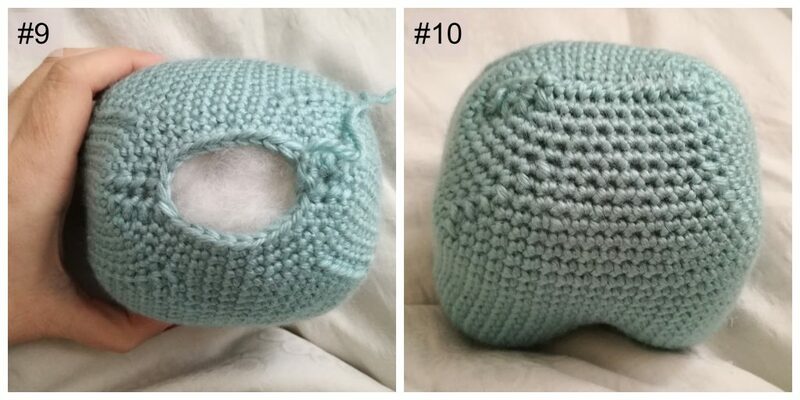 I made two big ones by sc6 in ML and than sc2inc in all 6 stitches. Two by sc9 in ML, and four little ones by sc6 in ML. For picture – tutorial on how to stuff and sew all the parts together click here. 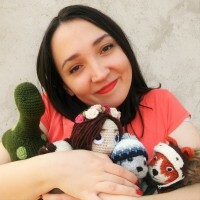 You can support me by sharing this post or by buying my other patterns on Etsy or Ravelry.